Confidence is something that comes and goes for most writers. Some days the words flow and you feel good about them. Other days can be a struggle. However, the more confident you are overall about your writing the more comfortable you’ll be setting higher rates. And the more willing your customers will be to pay those rates. 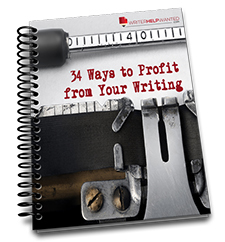 Here are a few tips to help you boost your writing confidence and make more money. Chances are you’re confident in a few areas of writing and not so confident in others. Offer your services in areas where you’re confident. For example, if you’re comfortable writing articles and reports but not confident with your copywriting skills then don’t offer copywriting skills. That doesn’t mean you can’t or shouldn’t offer copywriting in the future. You can, once you’re confident with your skills. Most writing experts will tell you that there are two things every writer must do to improve and boost confidence. The first is to read. Read books you enjoy reading and also read about writing. Read blog posts from writing experts. Take classes and strive to read about different styles of writing. The second thing writing experts will tell you is to write, write, write if you want to improve your skills. You’ve no doubt hear that it takes 10,000 hours of doing something to become an expert. The more you write, about anything, the better you’ll become. Adopt a positive mindset when it comes to writing. Some customers will have negative, and hopefully constructive, feedback for you. Instead of thinking, “I’m no good at this,” put the feedback to use and improve your skills. Adopt a mindset that every new client and writing project is an opportunity to learn and improve your writing skills. Connect with other writers. Learn how they adapt and grow professionally. Simply speaking to other writers can help you feel like you’re part of a collective group. Writing, as a profession, can leave you feeling very isolated. When you connect with others and realize they’re dealing with the same challenges you are, you begin to feel better about your skills and path. By the way, our Elite Writer’s Lab is a great place to do this. Raise your rates. Sounds like a risky step, right? However, when you raise your rates, and clients pay them, you begin to realize that you really are good at this writing thing. Additionally, your client’s expectations rise when your rates increase. It forces you to step up your game. Take time to celebrate the positive feedback you get from clients. Enjoy the good moments, learn from feedback and realize that writing is a continual process of improvement and growth. Confidence comes with experience. Read, write, and connect with others to increase your experience and confidence.